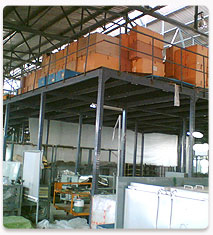 We offer 2-, 3-, and 4-tier structures where the modular shelving system provides the supporting structure for the floor. Horizontal and vertical extensions can also be based on existing single-level systems. Our floor design is tailored to suit the individual installation and can be easily assembled on site without the need for welding. 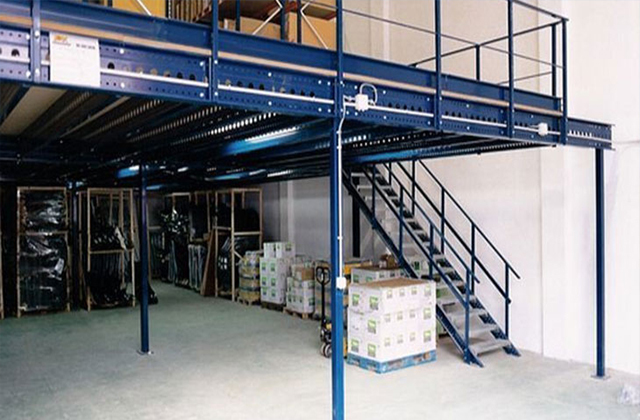 The combination of free standing and shelving mezzanines in a total concept creates space, which can guarantee an optimal interaction of goods in and goods out in the storage area. The linking of cranes to storage and/or shelf mezzanines improves the flow goods - customer service based on storage concepts..